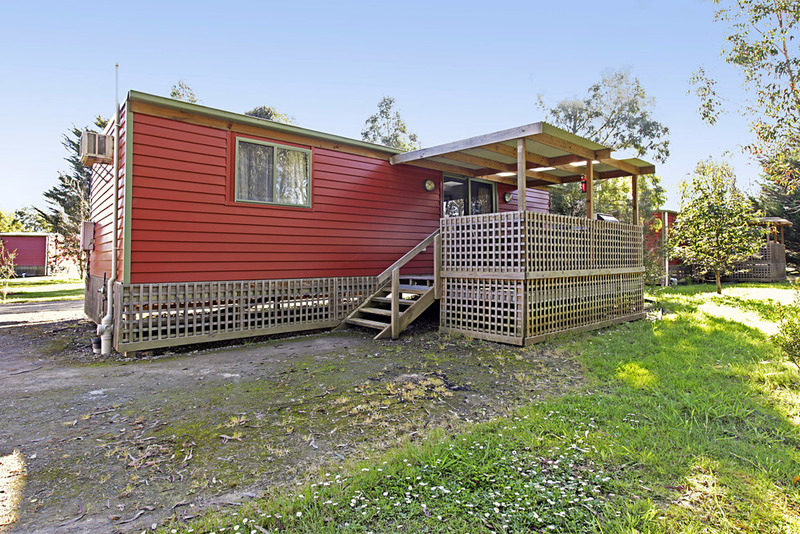 Otways Tourist Park is situated on 3.2 ha of landscaped parkland, located at the foot of the OTWAY RANGES, in the middle of the rural township of Gellibrand. We offer an alternative to the hustle and bustle of a sea-side resort town, yet we are only a 40 minute drive away from The Great Ocean Road and beaches. We are within 20 minutes of the OTWAY FLY TREETOP WALK and within a 30 minute drive from TURTONS TRACK TOURIST DRIVE and some of the most SPECTACULAR WATERFALLS and SCENIC DRIVES in the OTWAYS. Lavers Hill and Melba Gully, known as "The Jewel of the Otways" are only 30 kms away. Here you can enjoy Rainforest walks as well as see the Glow Worms at night. Rivers in close proximity to the park offer good fishing, Gellibrand River is renowned as "Home of the Blackfish". 4 DIAMOND RATED. Our Motel Type Units consist of two rooms plus bathroom, one being a living room with kitchenette, the other is a bedroom sleeping up to four persons with a double and single bunk style bed and one single bed. They have reverse cycle air conditioning, TV, microwave oven, fridge, tea and coffee making facilities and sink with tap. Bedding and linen are provided. There is a Camp Kitchen adjacent to the Units with stove, toaster and BBQ. There are no cooking facilities in the rooms. All bedding is provided and linen is supplied to the main bed. Linen for other beds is available at $10 per bed per stay, or you can supply your own. 4 DIAMOND RATED. Our En-Suited Cabins are fully self-contained and have separate living and sleeping areas. They vary in layout and size and accommodate from 2 to 8 persons. All have fully equipped kitchen and bathrooms and ample cupboard space. They are tastefully furnished and have reverse cycle air conditioning. All bedding is provided and linen is supplied to the main bed. Linen for other beds is available at $10 per bed per stay, or you can supply your own.